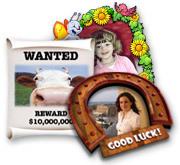 Photo Frame Show: Digital Photo/Desktop Enhancement Software - Frame photos with ease! 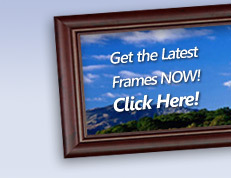 You can now create and post your own frame designs and enhance your photos with your own creation! Like our frames? Download the trial version and start enhancing your photos, web pages, online albums, and more! Send your own original, eye-catching and fun E-Cards based on any occasion - FREE! The Online Gallery offers a range of regularly updated frames under different categories. Simply browse through the different categories and put the mouse over a frame for more options. The new version does not support FramePacks anymore, frames are to be downloaded individually. Photo Frame Show frames are sole property of Likno Software. Unathorized use, reuse, transmitting or reprinting without the expressed and written permission of Likno Software is prohibited. Photo Frame Show - Digital Photo and Desktop Enhancement Software: Frame photos with ease! Copyright © 2014 Likno Software - All rights reserved. new frames and features become available.